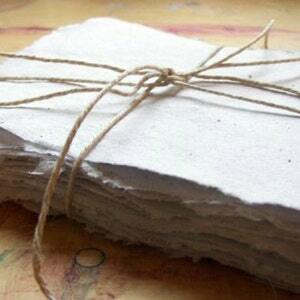 This listing is for 10 sheets of 4x5 inch eco friendly, recycled, handmade paper. 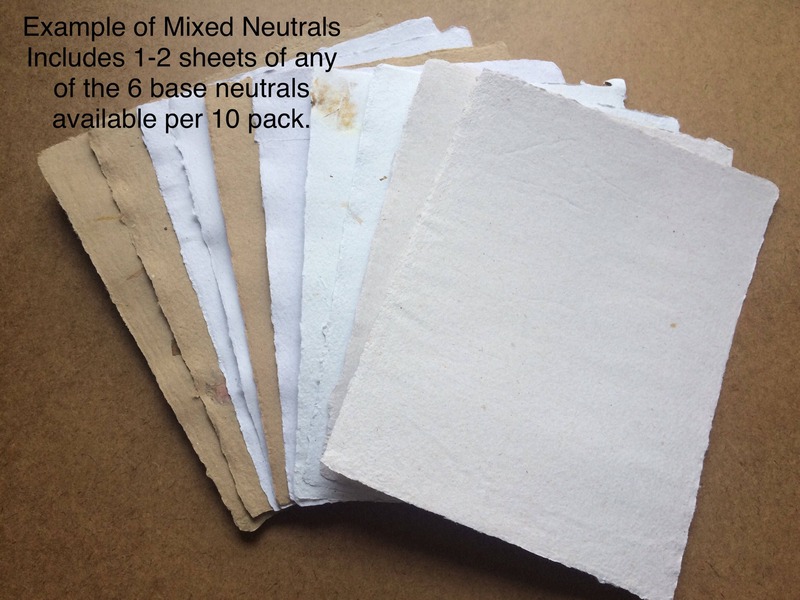 To order more than 10 sheets, just select multiple quantities upon checkout. 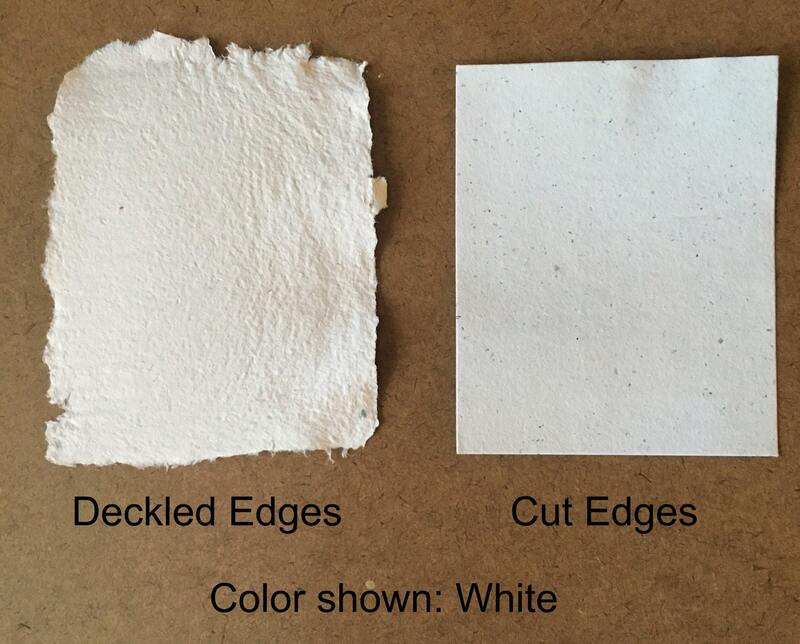 You may select naturally deckled edges, or straight cut edges using the drop down menu (see 4th photo for examples). 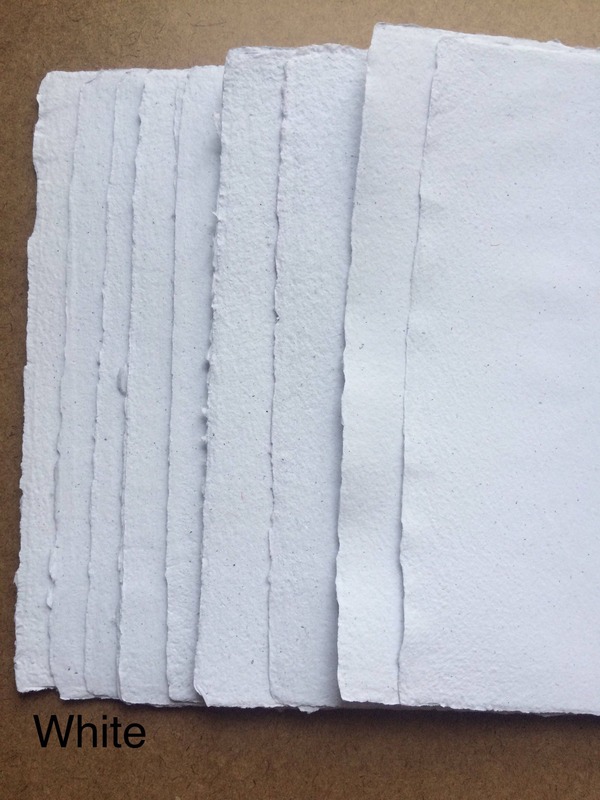 If you want more examples of the cut versus deckled edges, please let me know via Etsy convo prior to purchase. 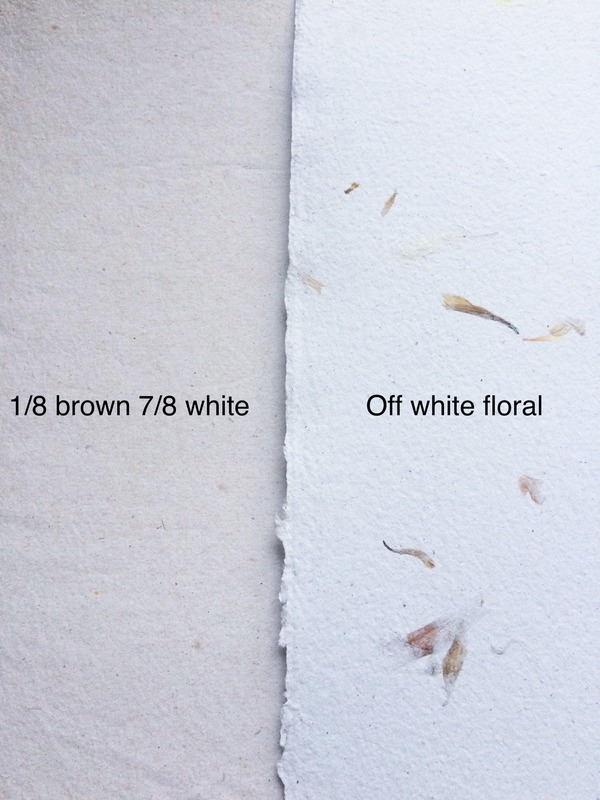 Deckled paper sizes listed are approximate and may vary slightly due to the natural variations of the deckle. 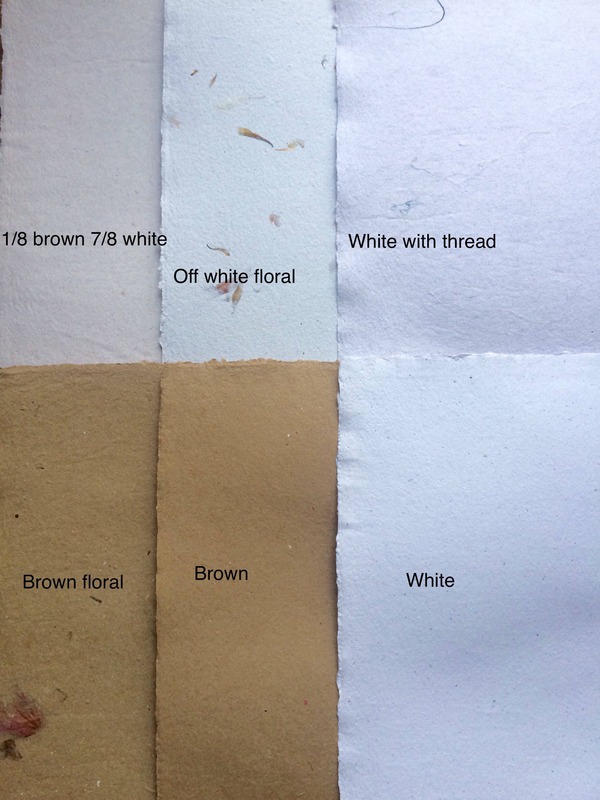 The flower petals and thread present in the brown floral, off white floral, and white with thread paper will vary from those pictured, as each batch is unique and I source my flower petals from a variety of local gardeners and wilted bouquets, in order to keep the cost of materials low (and thus the cost you pay for the final product). 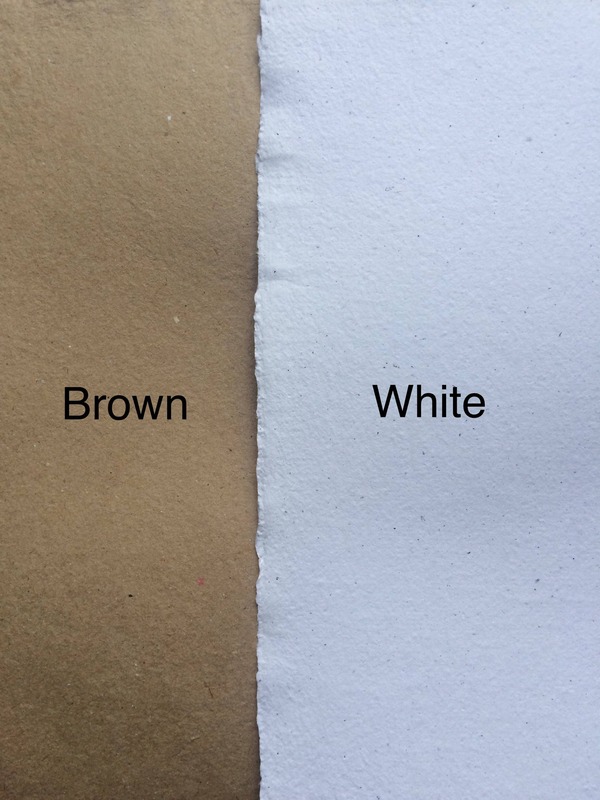 If you have specific color needs, please convo me before purchase. 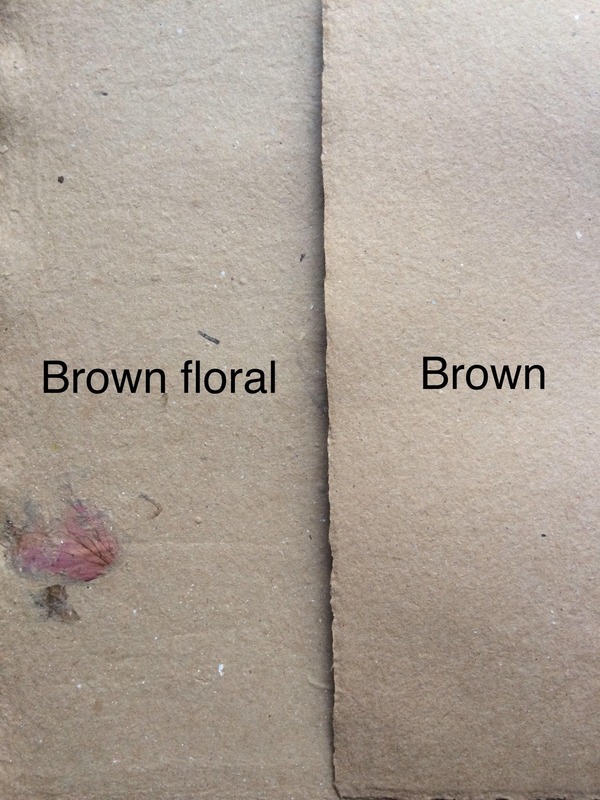 Most flower petals will be in a range of brown tones, as the color leaches out of the petal during the papermaking process. 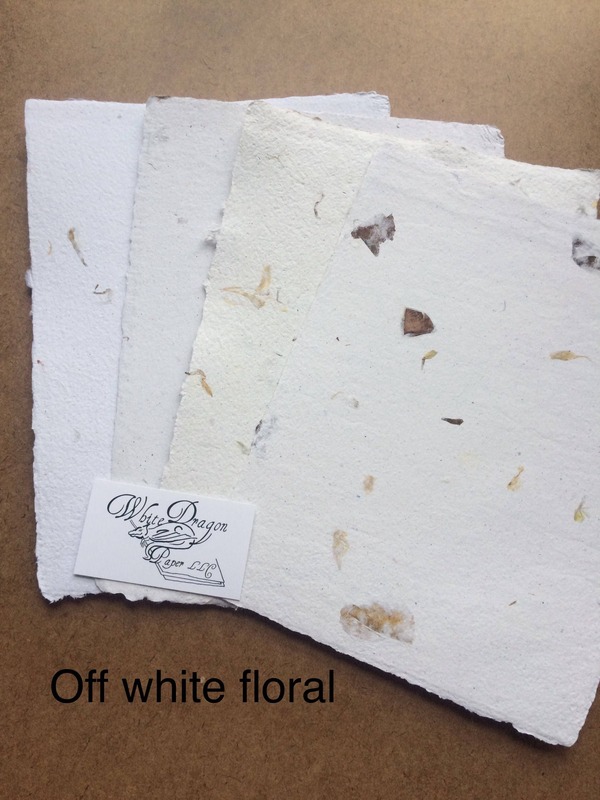 If you want specific colors of flower petals in your paper, we will need to discuss the use of silk artificial flower petals that will retain their color throughout the process. 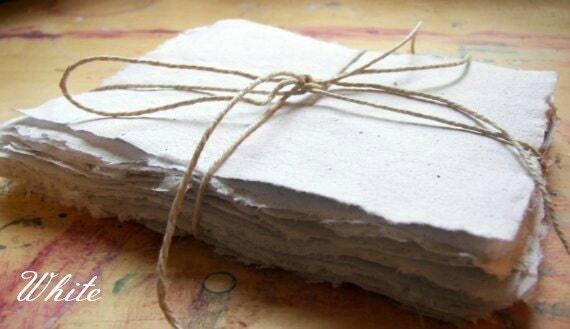 You could use this paper to write a note; bind a book; draw a picture; send graduation, birth, or wedding announcements; use as wrapping for soaps, gifts, or other small objects; mat photos or artwork, or anything else you might use decorative paper for. 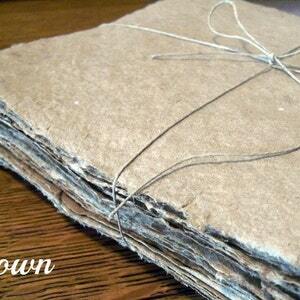 I just love the handmade paper!! It was the perfect touch for our wedding invitations!! I will definitely order more for other projects. I really appreciated the wonderful customer service in the ordering and fulfilling process! 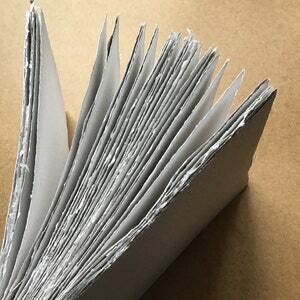 Lovely paper. We used it in our printer to send out valentine’s and it worked perfectly. 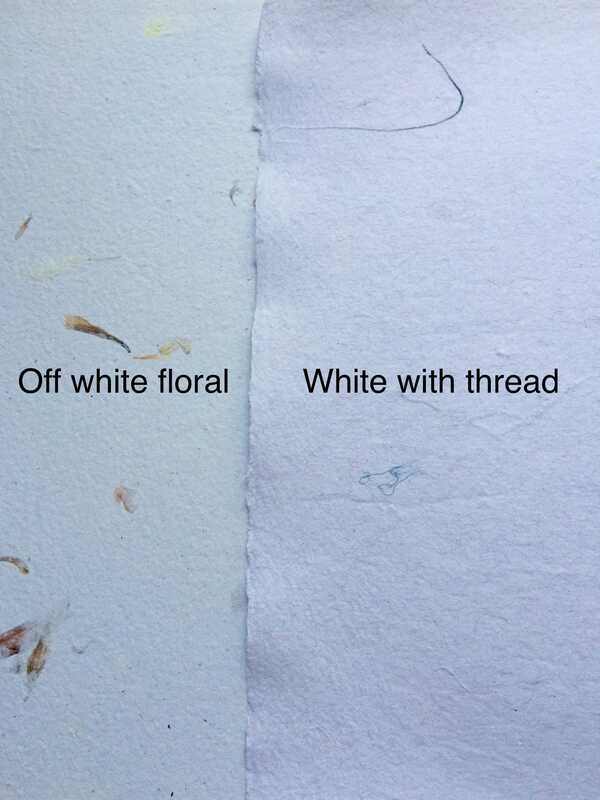 Paper arrived as advertised. 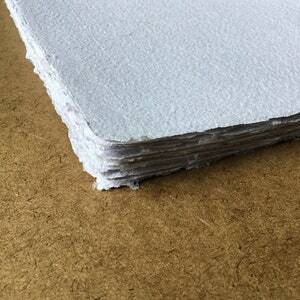 Good quality, beautiful natural elements, and I appreciate how accurately it's sized given the textured edges. Will use again!